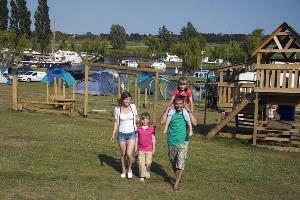 Waveney River Centre is the Broads' multi-award winning Holiday Park & Marina, set in the beautiful surroundings of South Norfolk's Waveney Valley, with stunning south and west facing views across marshes and river. The Park is a wildlife haven, where you can spend hours watching birds, insects and other wildlife from the peace & quiet of your holiday lodge, or venture further along the river by day cruiser or canoe. Please contact for hire times.